Are you looking for the best Amala spots in Lagos? Amala is easily a favourite Nigerian meal for many Nigerians. 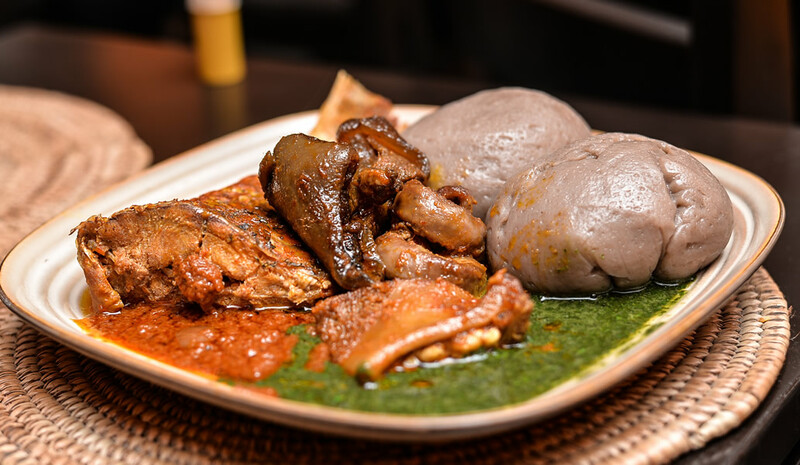 Some Amala enthusiast have mentioned that eating Amala is beyond just having a meal but a total experience which is why they go on deliberate hunts to find the best Amala spots in Lagos. Just in case you ever feel like eating Amala, here are some of the joints that came top of the list. Being in business for over 30 years is not a joke. Amala phase 1 located in Lagos Island have been putting smiles on faces for over 30 years. 30 years of experience is not a joke! Anyone who has lived in Lagos long enough must have heard about the famous Olaiya bukka in Surulere. Popular for its piping hot and tasty Amala, this spot has found its way to the heart of many. White House is another popular bukka that has been there for ages and dos not seem like it is going away anytime soon. The food coordination here is in point. Two wraps of Amal won’t do, you’d probably have to order a third or fourth one; it’s that good! In the popular Shitta, Surulere lies a dope amala bukka called Shitta. This popular Lagos amala joint is worth every bit of the hype. They have been serving delicious amala, ewedu, gbegiri, ogufe and more for years. Plan a Shitta meet-up with your Amala gang if you’re yet to experience it. Don’t be fooled by the name “Iya Eba” their Amala is off the hook! If you ever happen to find yourself in Onikan at lunch time, find your way to Iya Eba for a satisfying plate of Amala. Not every day bukka, sometimes posh restaurant. If you want to take a date to eat amala and make a good impression while at it, Yellow Chilli is the place. With a great ambiance and tasty amala meal, you’d certainly still bae’s heart. When you see while shirt sleeves being rolled up, just know it’s about to go down! If you work on broad street Lagos Island, you’ve probably visited this joint. They serve typical Nigerian foods you’d find in a bukka but the Amala is on point! If you have a meeting or interview in Marina, visit this bukka when you’re done. Got more Amala spots we could check out? Drop it right here!